Love Gardening! Issue #11: 5 Climbing Roses for the Price of 1! 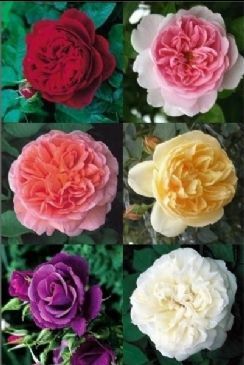 Just came across this amazing offer for climbing roses, where you get 5 for a little more than you would usually pay for 1, so I thought I'd share it with you straight away. Not only that, 5 free bush roses are included too. I'm sure friends would be more than eager to take one off your hands if you find you can't use them all! Make you hole twice as big as the pot. Mix soil from hole with well-rotted manure or composted manure in bags. Add some rose fertiliser or bone meal. Cut out any crossed or dead stems. 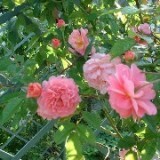 Put rose in hole and press in compost and soil mixture firmly. Water well until well established. Here's to a lovely warm summer spent in our beautiful gardens! What more could we ask? !